This is a short but thorough summary of consumer bankruptcy law. 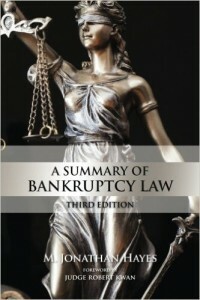 As said by chapter 7 Trustee Wes Avery, “Professor Hayes explains very nicely the technical and complex language of the Bankruptcy Code and Rules in plain English.” The book is intended to be a practical, but sufficiently theoretical guide to the nuts and bolts of bankruptcy. It provides the basics to the lawyer or law student new to bankruptcy. The book is supported with 403 footnotes which focus largely on the 9th Circuit and California Law. 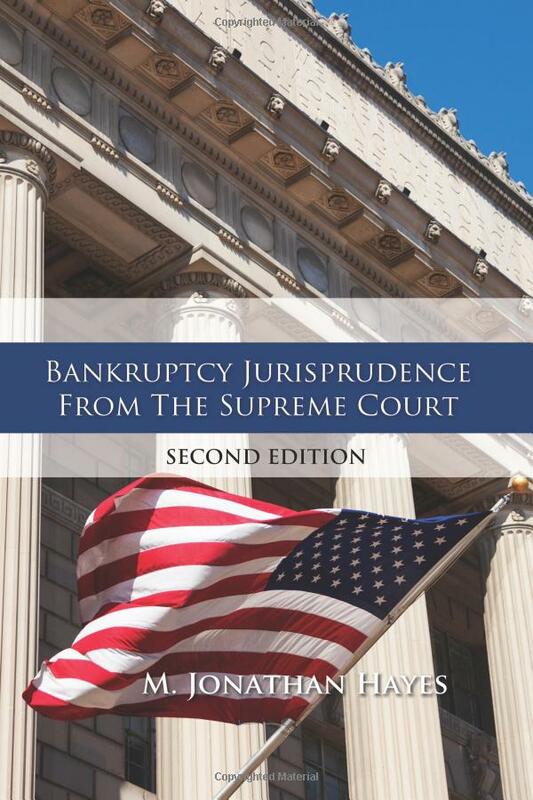 This second edition includes 140 briefs I have written of Supreme Court cases that deal with bankruptcy from 1817 through Commonwealth of Puerto Rico v. Franklin California Tax-Free Trust in June 2016. The first edition had 121 briefs. The book includes a brief of all 80 bankruptcy cases decided by the Supreme Court since 1979. The briefs set forth the critical facts, often in a single paragraph, the specific issues the Court believes it is resolving, the arguments made by the parties, the rulings and why the court ruled the way it did. Supreme Court opinions typically resolve a single issue and are typically based on the statutory text, the law that Congress created. The briefs are, by definition – brief. They are largely the words of the author of the Supreme Court opinion. The underlying facts of the case and the rulings and rationales of the lower courts are those set forth in the Supreme Court opinion. M. Jonathan Hayes is the publisher of Central District Insider. He authors reference books for use by bankruptcy attorneys.